Democracy have become household names in Nigeria. It is trite to delve into the theoretical definition of the terms. But suffice it to say that, “democracy” is a system of government in which every mature adult in the country votes to elect his or her members; it is organised according to the principle that every one has to be involved in decision making. On the other hand, the judiciary is an arm of government which interprets the law. However, Montesquieu, the father and author of Separation of Powers opined that the conferment or vestment of power on government without separation of powers would lead to tyranny. Consequently, we have the executive, legislature and the judiciary. The executive executes the law, while the legislature makes the law. In all, everything is hinged on the law. Therefore, the principal or basic function of government is the maintenance of law and order. Interestingly, the judiciary has impacted seriously on the maintenance of our democracy. In every democracy, there are always issues between individuals which are adjudicated in the courts. The court is a place where aggrieved parties go to ventilate their grievances. Since the military handed over power to democratically-elected government in 1999, the judiciary has remained the last hope of the common man more so, it has given direction to our democracy. Barr. Assor, a Port Harcourt-based legal practitioner cited the case of Amaechi Versus INEC, which was hailed as a landmark judgement. He also cited the case of Ararume Vs. Ugwu in which the Supreme Court also gave a landmark judgement. The Port Harcourt-based legal practitioner also referred to the Supreme Court Judgement on Peter Obi Vs. INEC in which the apex court decided on the tenure of office of the governor. Also speaking, a lawyer in equity, Chinonye Okoha Esq, noted that the courts had battled with the high level of corruption in the country. Okoha Esq said the introduction of plea bargaining had helped to check the systemic corruption in the country. He said because of plea bargaining, the government was able to recover from the former head of Stock Exchange , Ndidi Okereke-Onyeuke. Okoha Esq also explained that Bode George was also sentenced for corruption thereby nullifying the sacred cow syndrome. He noted that democracy has brought with itself the doctrine of rectitude and thrown over board the rule of impunity. The lawyer stated that the judiciary could not be ajudged to be perfect since it was still evolving after so many years of military rule with its ugly antecedents. “We are obviously learning to do things right. At a time probity and rectitude will be the watchword in our democracy,” he stated. He, however, commended the purveyors of our democracy and urged them not to relent. He noted that democracy without the judiciary was a time bomb which would explode some day. Another lawyer who spoke with The Tide, Barr. Abraham Jande, explained that judiciary was a focal point of our democracy. The Lagos-based lawyer, who spoke with The Tide on phone remarked that our democracy was pulsated by the judgements that came from the courtrooms. “When the courts are shut because of antics of political office holders, what suffers is the democracy,” Abraham said. “While agreeing that our democracy has done well because of Landmark judgements, we must appreciate the fact that in some states, governors are still manipulating the third tier of government. This is certainly because our judiciary is far from being independent. The independence of the judiciary will serve best the interest of our democracy”, he pointed out. 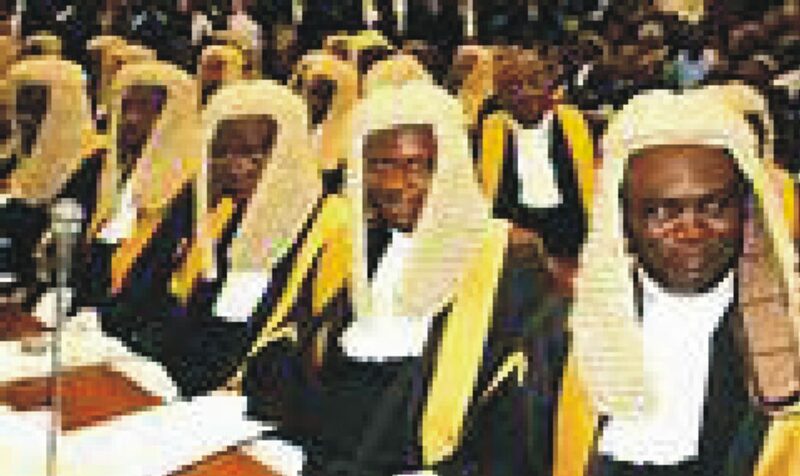 The erudite scholar noted that the independence of the judiciary in the 21st century had become a far-cry. “In Rivers State, the political tussle between political parties big weights had crippled that arm of government for more than one year, yet the indifference seems to be growing by the day,” he further stated. “Pathetically, the Nigerian Bar Association (NBA) has become politicised and it has become difficult for the much needed cohesion in the Bar,” he stated. He said that judiciary had impacted seriously on our democracy but that it was not yet time to shout eureka. Barr. Abraham said the impact would be more if there was independence of that arm of government. He said it would be more if the entitlements of judges were drawn from Consolidated Revenue Fund and Judges enjoy. The Lagos lawyer urged the states of the federation to grant autonomy to the judiciary in order to make it work efficiently and effectively.